Proud Texas native Rachel Bradshaw brings a highly personal and creative approach to Dallas real estate. Known for her round-the-clock accessibility and ample patience, she truly treats every transaction as if it were her own. 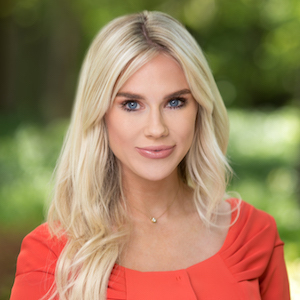 Prior to real estate, Rachel spent a decade as a successful country singer and songwriter based in Nashville where she honed many of the skills that have forged her real estate career. "Being successful in music and in real estate is all about creativity, work ethic and the ability to connect with people. In music, you want to take your own experiences and write a song people can relate to. In real estate, you have to empathize with your clients' needs to help write their happy ending." Personable and knowledgeable, Rachel is also a fierce competitor who loves to score a win for her clients. She credits her lawyer mother and football player father for instilling in her the value of facing challenges head on and always putting in a championship effort. Rachel earned a degree in business from Belmont College, and today, she resides in Uptown Dallas. In her free time, she loves cooking, writing music and spending time with family and her two dachshunds. Rachel is a proud member of The Rosen Group at Compass.